Are you ready to become a thought leader? Want to get paid to speak? Would you like to write for Forbes, Entrepreneur, Inc., or another top business publication? How about publish a bestselling book? Build an email list or a following on social media? To attract customers, companies build brands that tell who they are. If you’re going to build “the business of you,” you need a strong personal brand that stakes a claim to the position you want with your audience. What position do you want to occupy in the mind? That’s the first decision to make. In this checklist you’ll take the steps to discover your unique position, your “unfair advantage,” and talk about it in a way that will set you up for success. A personal brand is like a company’s brand, which is more than a logo or a tagline, as important as these elements are. Your brand is your reputation. It’s your identity. It’s how others describe you. It’s what puts you top of mind. When you dominate a topic in the minds of your audience members, then you have a strong personal brand. When you have a strong personal brand you are a trusted source. You are a recognized expert. This will lead to speaking engagements, book deals, and media attention. The results flow to you in a magical way—but it’s not magic at all. It’s a formula that relies on clarity and focus to own a narrow space. When your audience knows who you are and what you will do for them, they’ll flock to you. 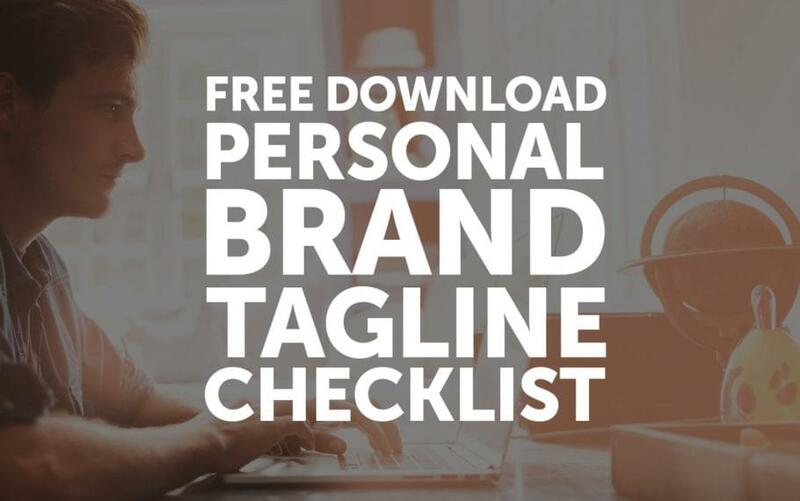 Follow the steps on this checklist to identify your personal brand and create a simple tagline that will become the foundation of how you introduce yourself, how others introduce you, and how your audience thinks about you. Just enter your name and email address and you’ll have the checklist within a few seconds!